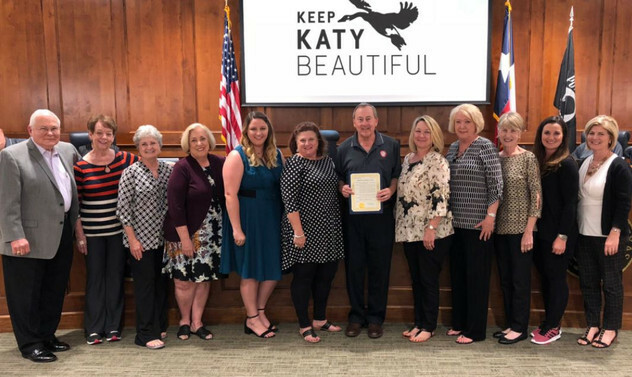 Wolman Elementary namesake, retired Katy ISD educator, and dedicated member of Keep Katy Beautiful (KKB), was given the Keep Texas Beautiful 2018 Leadership Award. Wolman is the worthy recipient of the 2018 Keep Texas Beautiful Leadership Award. She serves as secretary on the board of directors for KKB, which partners with other groups in Katy to promote a clean, litter free community, educate citizens about recycling, landscaping, tree planting and maintenance, as well as waste reduction. This is, “A once-in-a-lifetime distinction award for a person who provides leadership in the areas of improving and enhancing the Texas environment,” according to the Keep Texas Beautiful website. “Jamie has been instrumental in countless projects for KKB, where she has served for 23 years, she has also served on the board of directors for Keep Texas Beautiful for over 20 years. 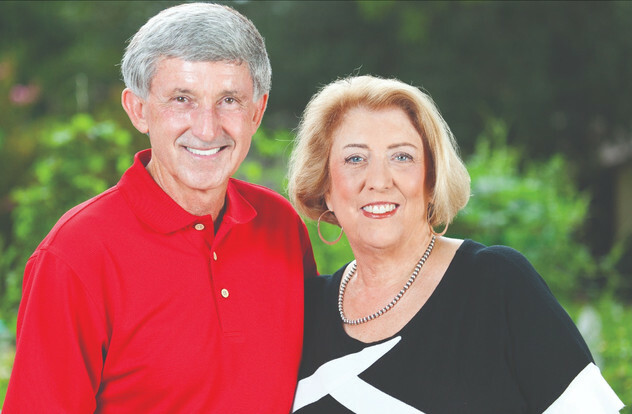 She is proactive in enhancing the quality of life for all members of the Katy community, and her heart for volunteerism goes above and beyond. Jamie embodies all that KKB and KTB stand for, ” says Jess Marshburn, tourism and marketing assistant for the City of Katy. Along with the rest of the volunteers and staff at KKB, she attended a special presentation to the City Council last week, which celebrated KKB’s Governor’s Community Achievement Award for Keep Texas Beautiful. The group took home first place in their category for communities with a population between 15,001 and 25,000 residents, and was awarded 180,000.